This week marks seven years of when I began to blog on My Nest in Kurdistan. That’s right! Exactly seven years of blogging! 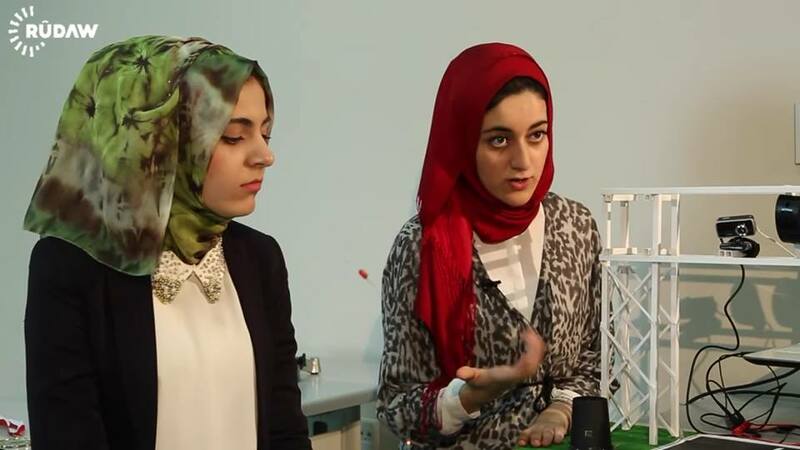 To celebrate this I want bring to your attention two amazing young women of Kurdistan- risk takers, dreamers, believers, and young innovators! 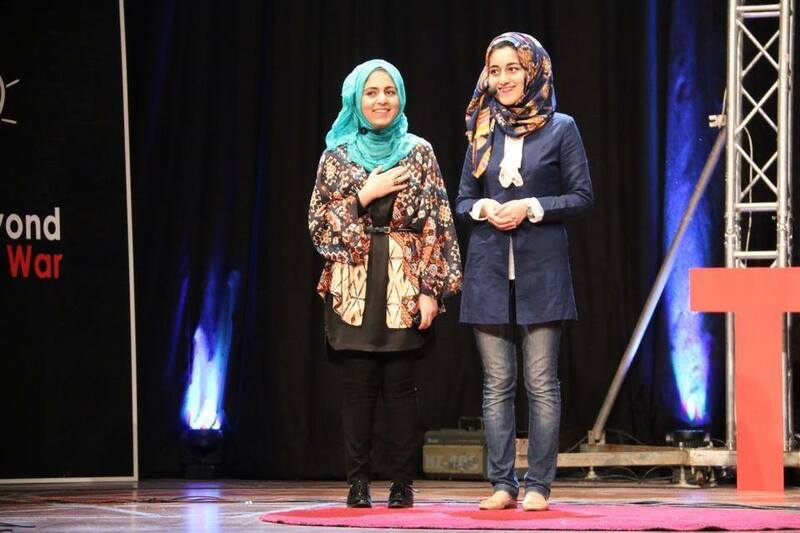 Left: Eman, Right: Dastan During their TEDxErbil talk, it was followed by an outstanding standing of ovation from the crowd. People want to meet celebrities- singers, actors… Since the day I heard the names Dastan & Eman (and you will never hear one of the names alone) it became my dream to meet these two girls. Finally, days before the TEDxErbil event, I walked into the Peshawa Hall of the Ministry of Culture & Youth the girls caught my eye at the very back of the hall, they were putting together the last touches to their TEDxERBIL talk. 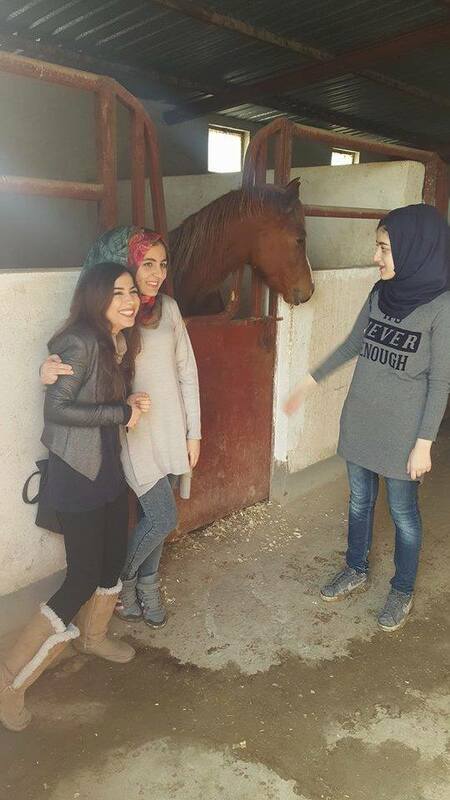 There I met two young Kurdish girls with the most passionate hearts, the most delicate spirits, the most beautiful smiles and true believers. You know that feeling where you want to make someone a sandwhich and just eat them (you don’t, do you?) for me it was like that. They were too sweet, too kind, and…. in some way too innocent. Dastan, in Kurdish meaning story, and Eman, meaning belief, are exactly that, a story and a belief. Their personalities are so different, yet these two friends, I can tell, will hold each others hands throughout their entire life. Who are they? 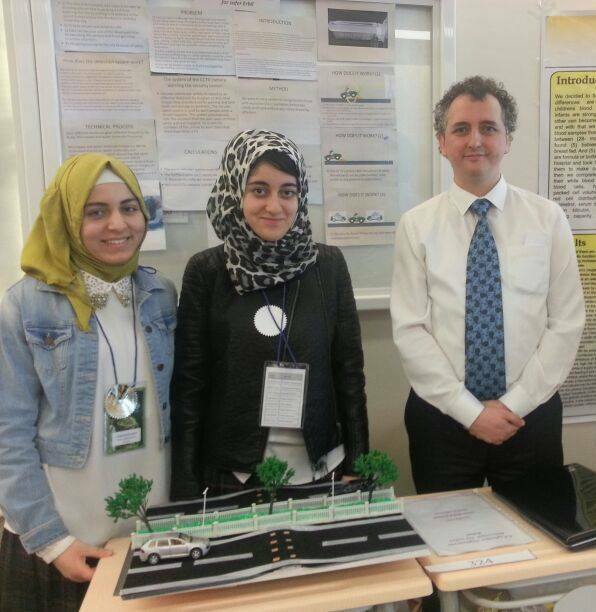 Dastan & Eman are “award winning innovators for developing a bomb detection system” and because of the lousy support (you know, the type of support that is only talk and no action!) they refused to sell their idea to a large company which offered them what any two young innovators dream of being offered. Soon their idea was taken due to lack of guidance on copy right privileges. This alone frustrates me right to my bones! Today, these two girls have just finished high school, they have brought home grade 12 results that represent some of the top marks in the country. 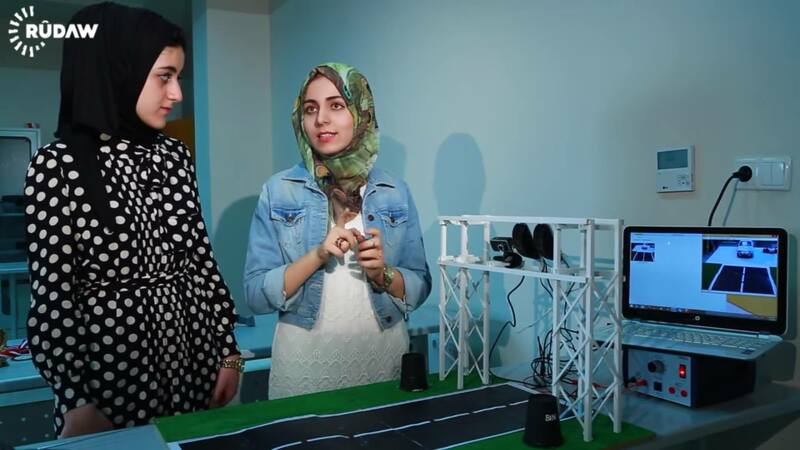 They sit every night trying to convince their family that even though they live in Kurdistan, even though they face many challenges being the innovators they are, that selecting an engineering pathway is a better alternative to medicine. With talent like this, if not invested in and supported, with time it dies…. and in Kurdistan we have killed far too much talent of our youth. Its about time we change! Dastan & Eman, to me, will always be the two young girls who I love to introduce to every person I meet and proudly say “these are Kurdish girls” and I feel like standing in the face of every single person on this earth who makes their journey a tough one. But they know very well, if they want to follow their dreams they will have to face a lot, because unfortunately, in the society we live in challenges stand in the way of many people’s success or journey making their dreams come true. Celebrating the 1 anniversary since the day of the creation of their first bomb detection system, I spent an entire day with the girls in Erbil. The more you know about these two, the more you love them and become proud of them!! Stay tuned for tomorrow’s post, same time, same place, bring your pyala of chai, I have pre-scheduled a blog post interviewing these two girls, so you can hear read what they have to say! 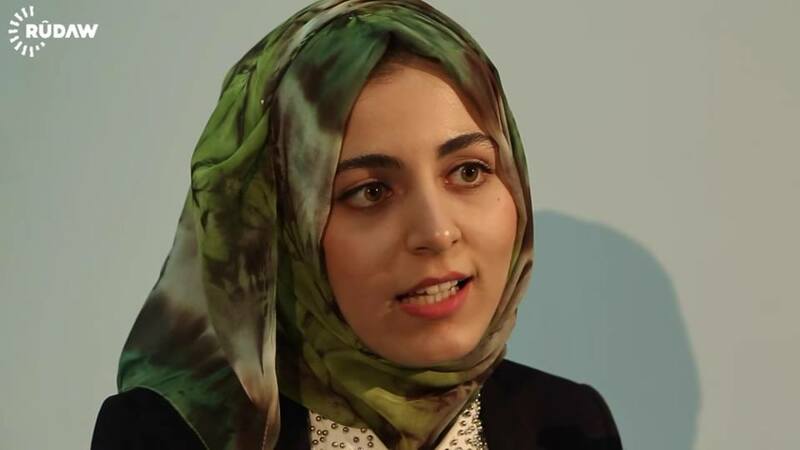 7 years of blogging in My Nest in Kurdistan!